Our video elves camped at Yosemite National Park for an entire week waiting to spot Santa Claus, one night they thought they hear him but it was a bear auditioning for a local play. Yosemite is a special place for the I Spot Santa team and we are glad that we finally captured a video of Santa at our favorite national park. The second waterfall you see in this Santa sighting is Yosemite Falls, it consists of two falls totaling 2,245 feet. That is as tall as the Sears Tower and Eiffel Tower stacked on top of each other. 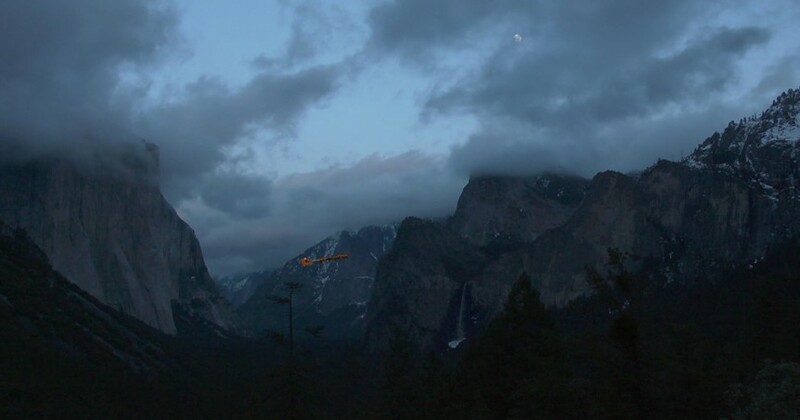 Can you see lower and upper Yosemite falls as Santa flies by? Goodluck with that list John. 🙂 Merry Christmas!